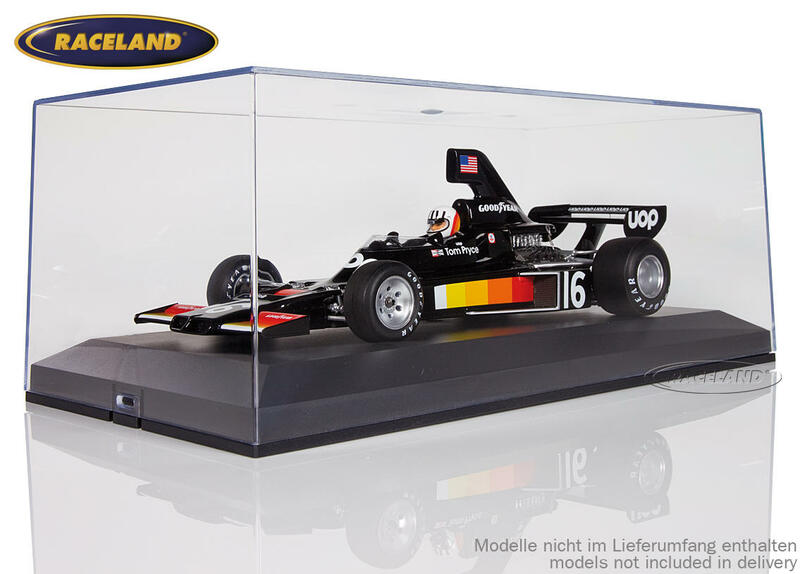 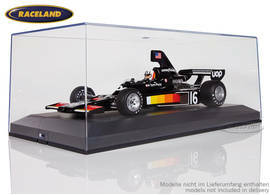 The product "Display box Raceland for 1/18th models" was successfully added to your wishlist. 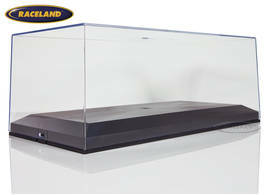 plastic display box. 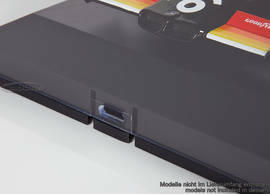 For maximum model size of 268 mm (length), 119 mm (width), 96 mm (height). Outer dimensions: 308 x 159 x 123 mm.